Stanford University’s School of Education and Chicago-based Innovations for Learning (IFL) have partnered up to bring the Teachermate Handheld Computer to underserved indigenous children in Latin America. The computer is a compact mobile learning tool that resembles a hand-held game, and includes interactive features for students such as a built-in microphone they can use to compare their voice recordings to recordings of words on the computer screen. The computer also features math game activities, designed to reinforce basic numeracy skills. 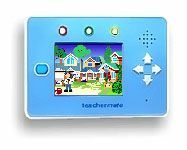 IFL launched the Teachermate computer in Chicago last spring, and will be supplying all 500 Chicago elementary schools with the devices over the next two years. Seth Weinberger, Executive Director of IFL, hopes that the computers will “offer schools the ability to affordable provide individualized instruction to every student,” in the U.S. and throughout Latin America.